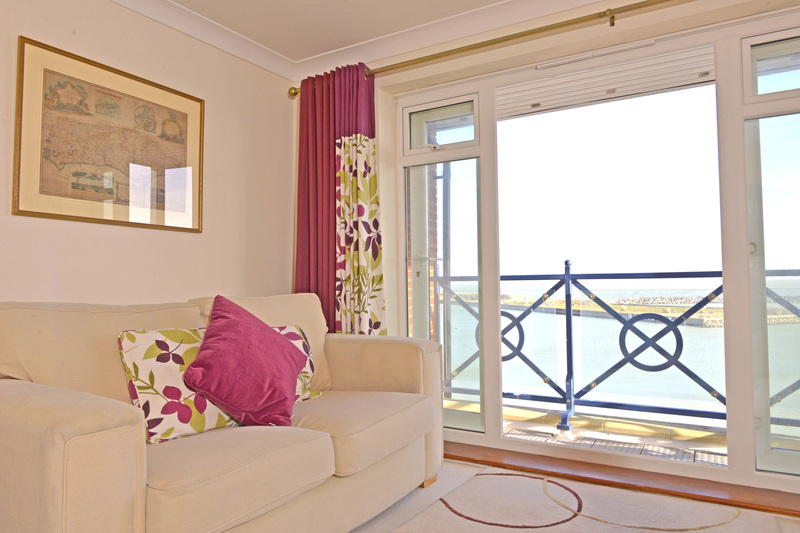 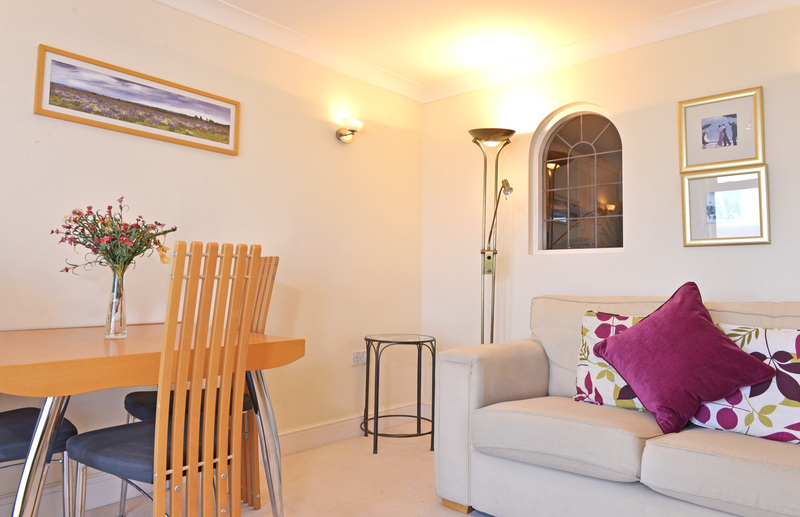 If you are looking for holiday apartments with sea views, Harbour Lookout should be top of your list. 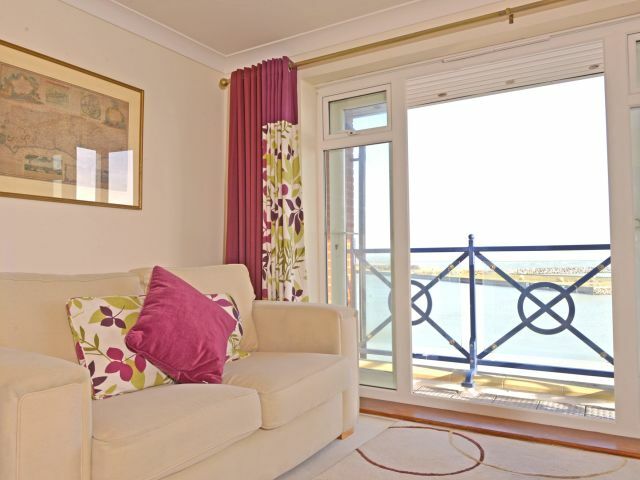 With a captivating position literally overlooking the outer harbour and sea it provides mesmerising views from its private balcony, light lounge and master bedroom. 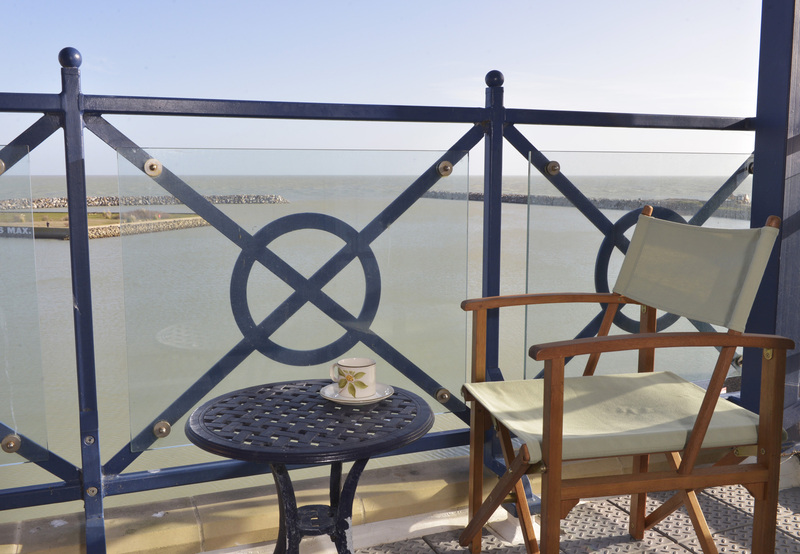 The best holiday apartments with sea views offer contemporary style with a smart finish and the perfect base for a relaxing seaside escape. 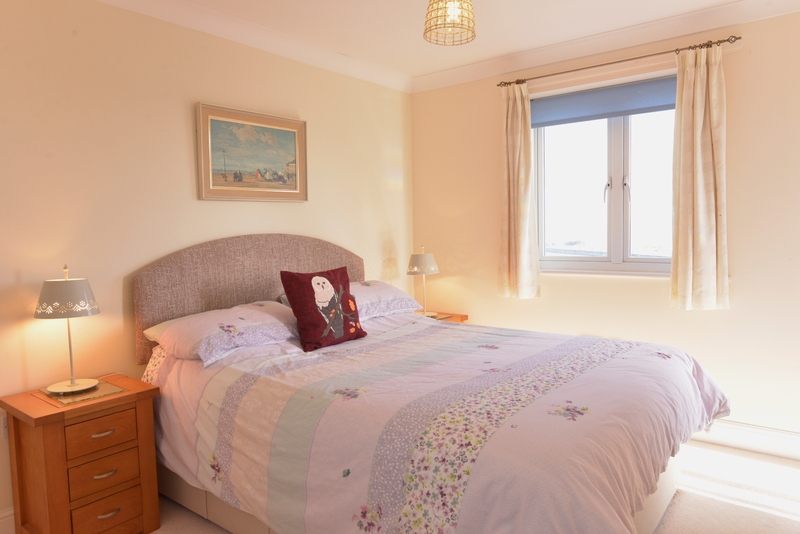 Harbour Lookout makes a ideal choice for families or friends, with two good-sized bedrooms, one with a kingsize and the other a double bed. 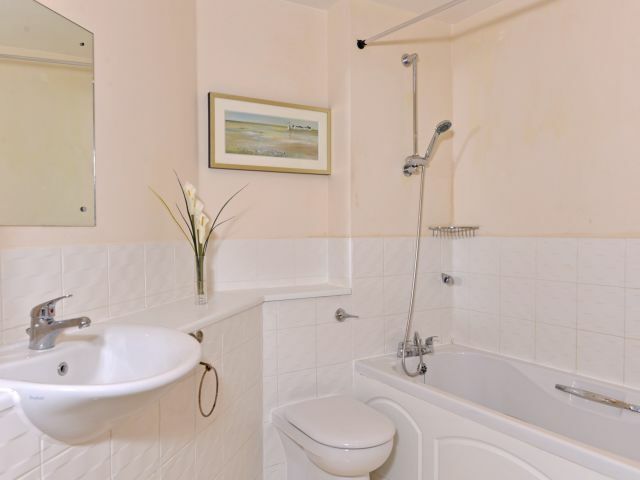 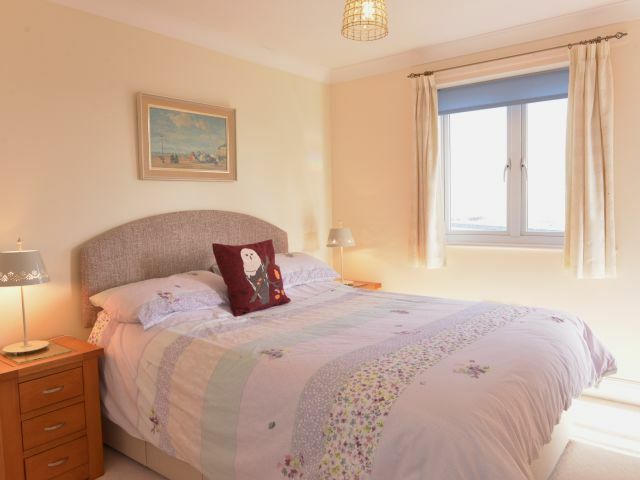 The master bedroom, as well as enjoying lovely views out over the sea, has an ensuite bathroom with a walk-in shower and access to the private balcony. 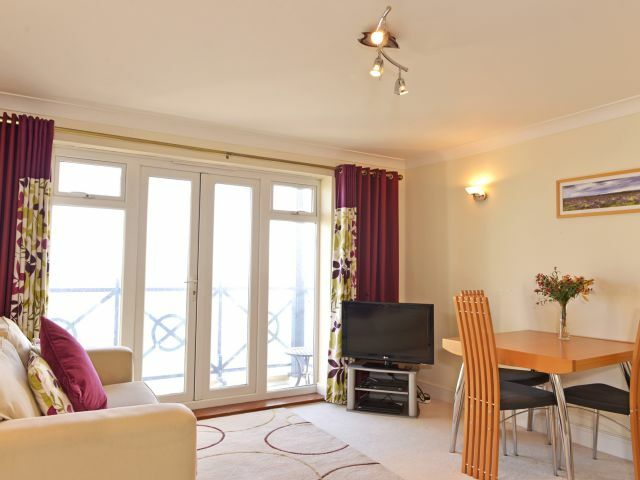 The lounge-diner has an open-plan layout and is bathed in natural light thanks to French doors leading out to the balcony. 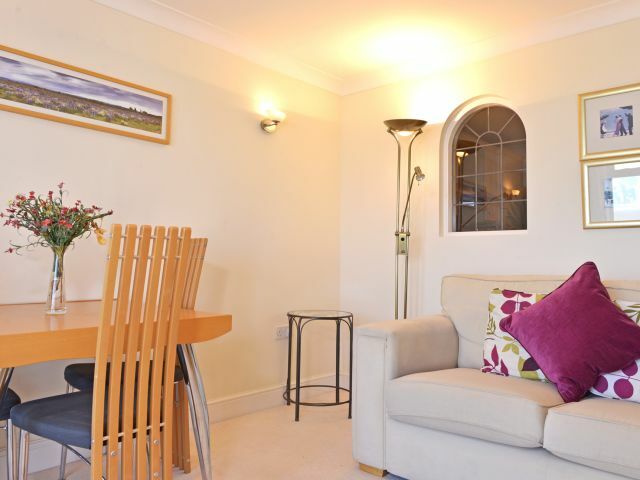 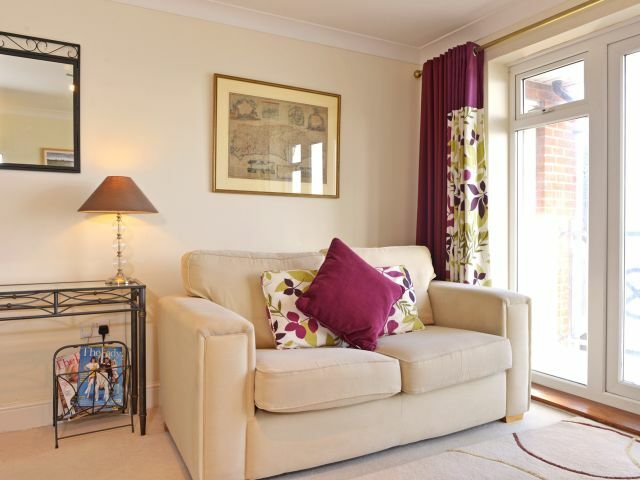 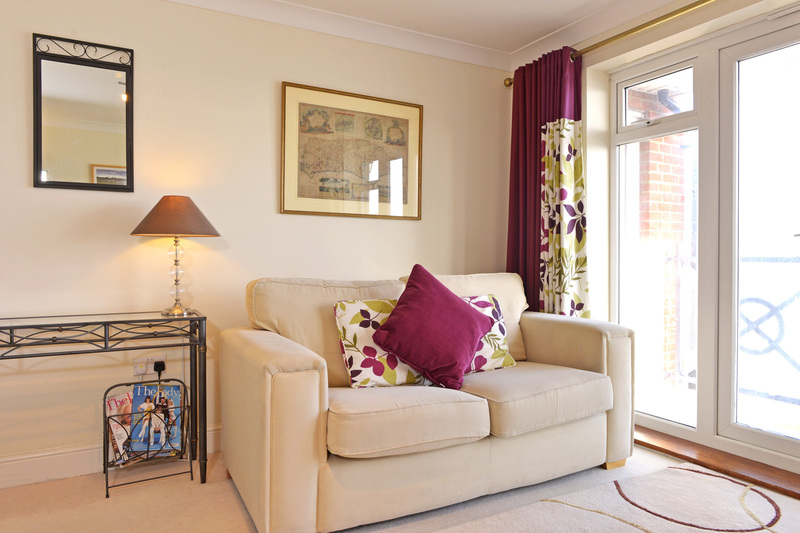 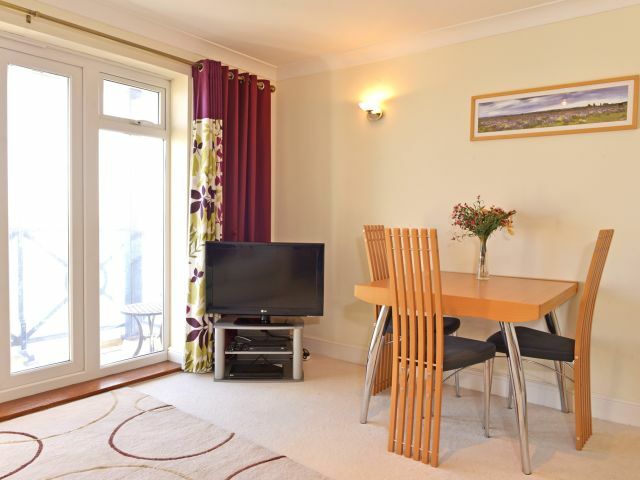 There is plenty of comfy seating, plus an extendable dining table which can seat up to six. 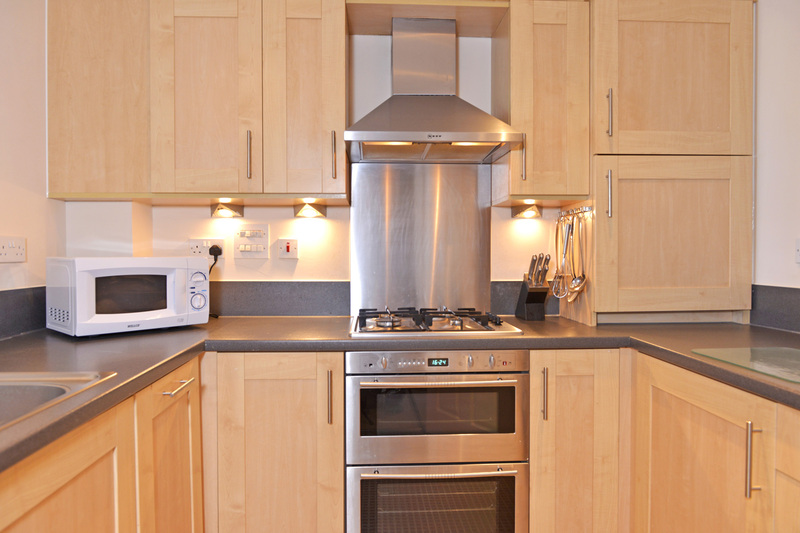 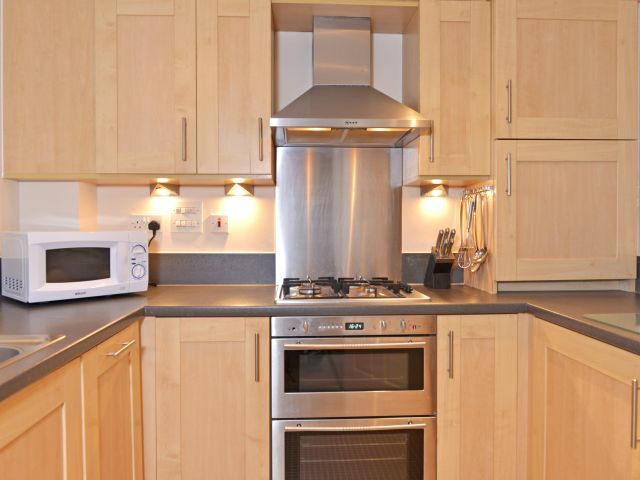 The separate kitchen is modern and well equipped, with a dishwasher, fridge-freezer, washer dryer, kettle, toaster and microwave and cafetiere plus all the utensils you’ll need. 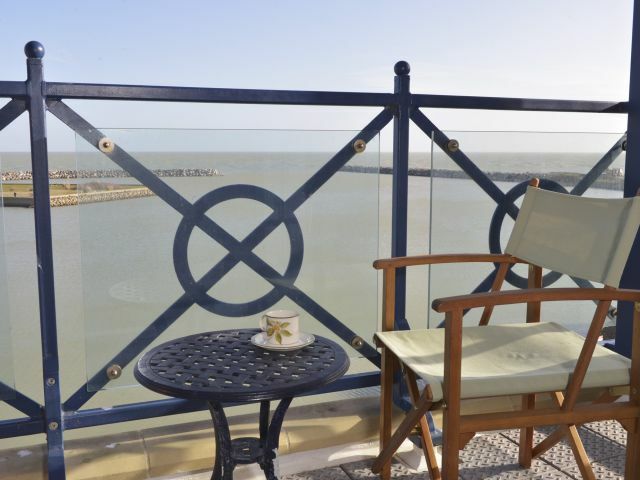 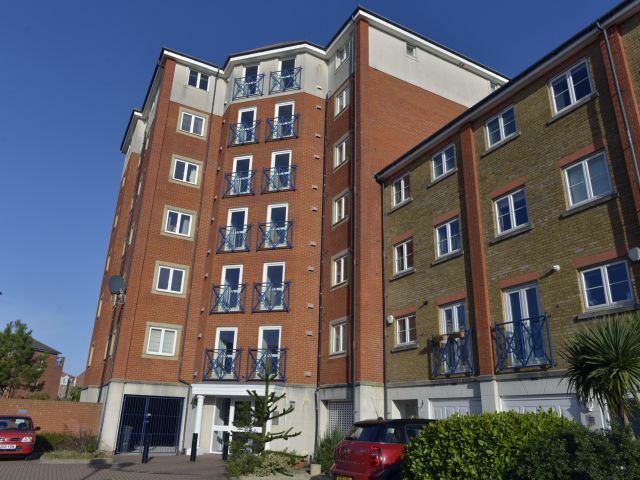 Being set on the fifth floor guarantees you stunning sea views and thankfully the lift access means you don’t have to take the stairs; so this holiday flat can provide accessible accommodation. 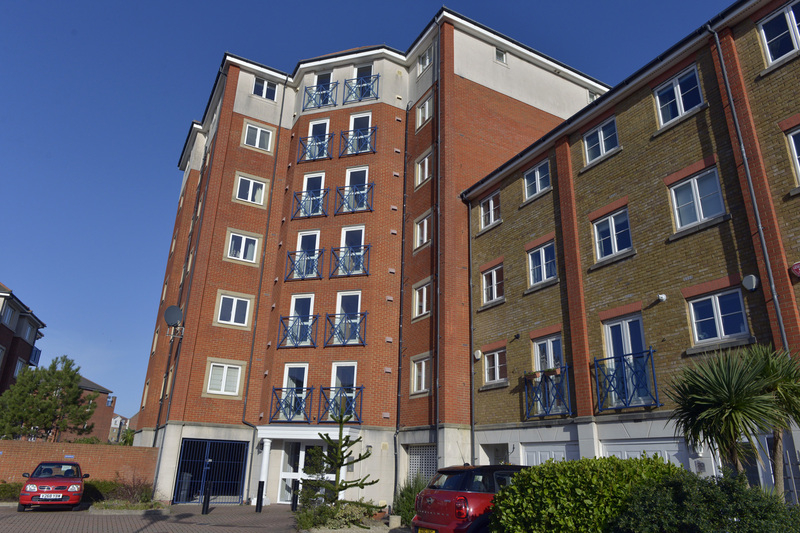 There is also an allocated covered garage space in the gated car park with additional visitor parking spaces available. 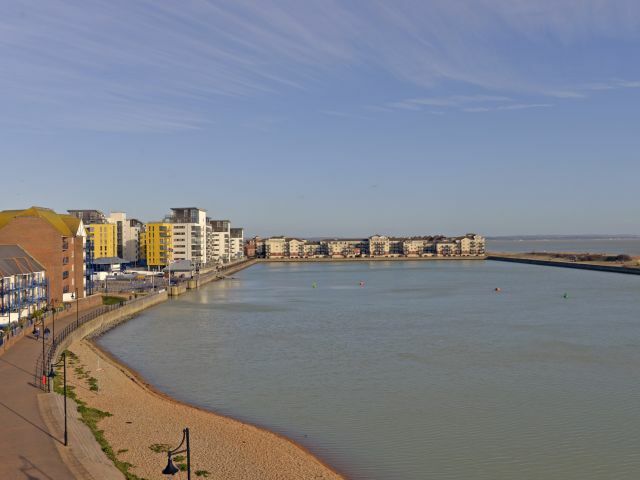 There are many cafes, restaurants and cinema in Sovereign Harbour which is a short walk away, and should you fancy heading further afield the culture and shopping in Eastbourne is just an hour’s walk along the promenade or a quick 10 minute drive. 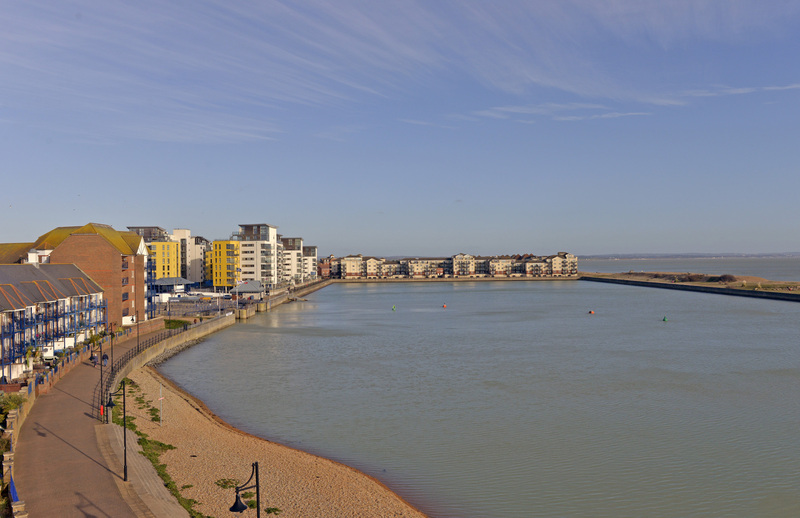 Many historic sites are within easy reach such as Pevensey Castle and Battle (marking some of the most defining moments in English history), whilst Beachy Head and the South Downs National Park are must-sees in the opposite direction. 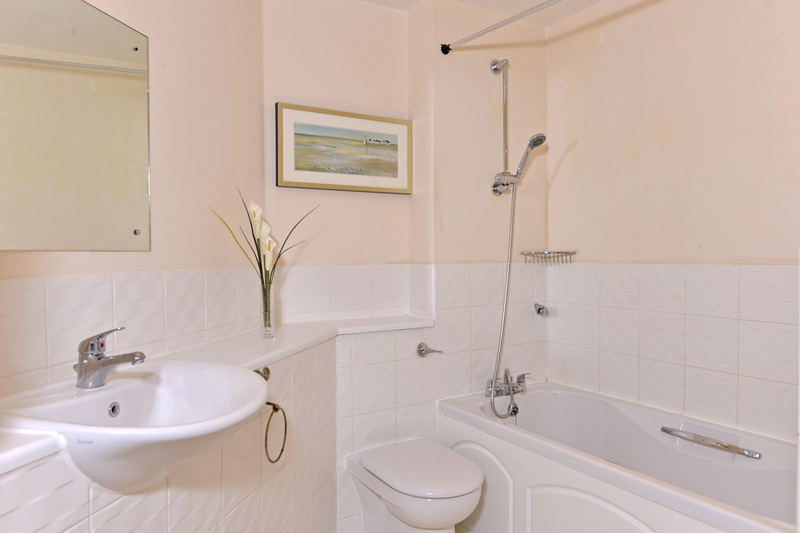 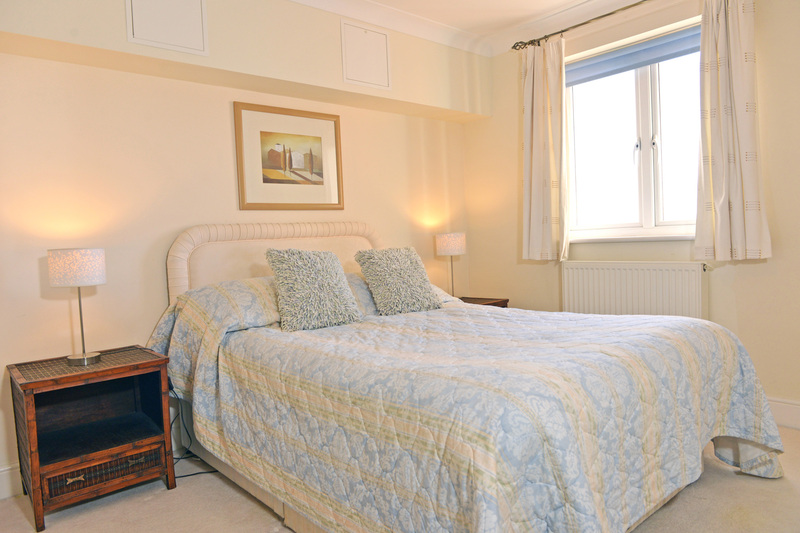 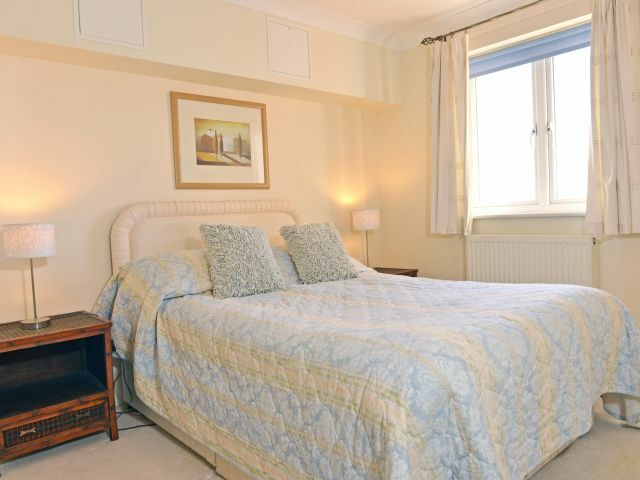 All linen and towels are provided, with additional linen supplied for stays of more than a week, as with all our Eastbourne accommodation. 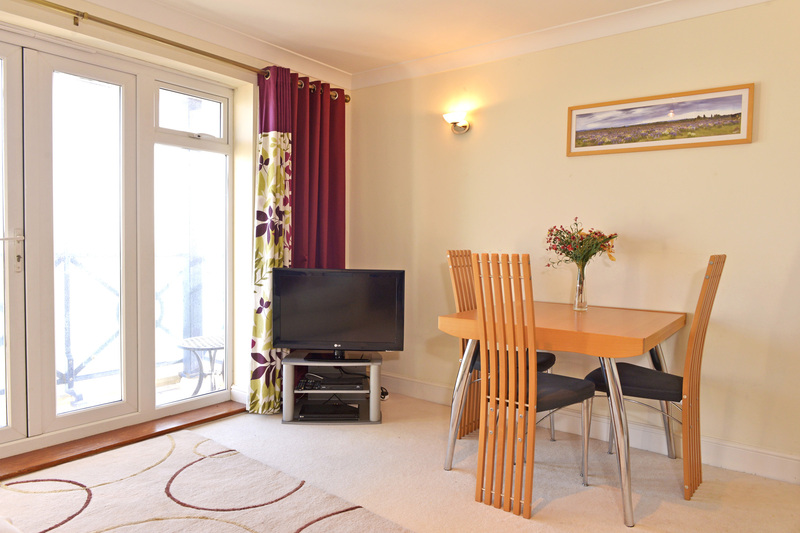 Free WiFi is provided in this short term rental. 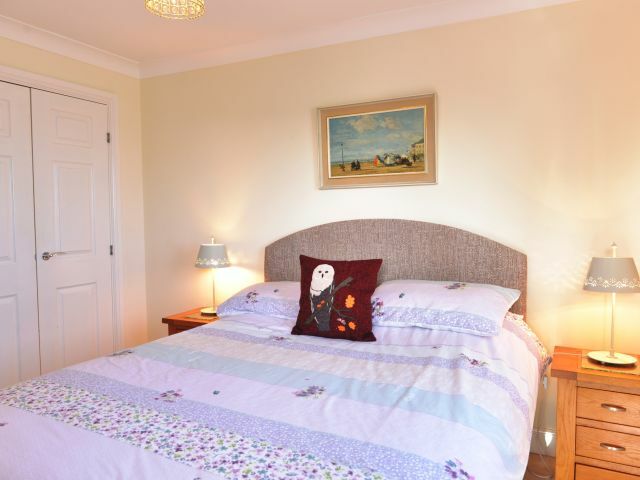 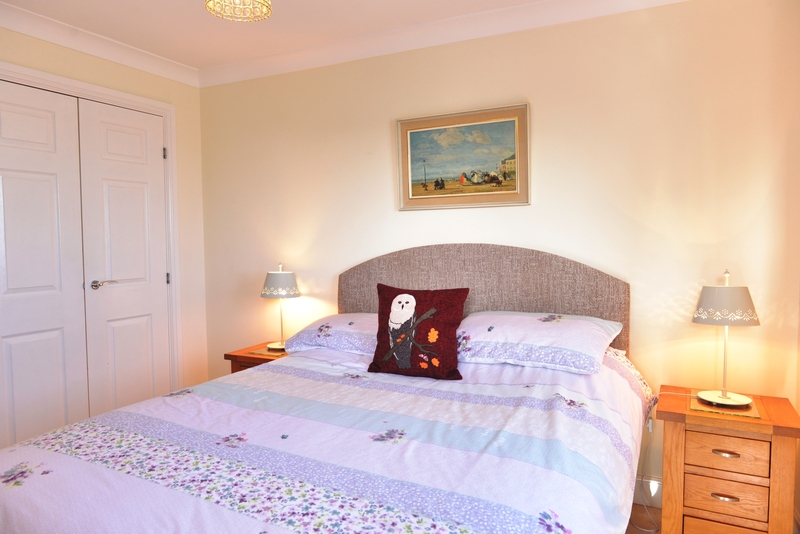 There is a week-long minimum stay and bookings run from Friday to Friday in the busy holiday periods, there may be flexibility at short notice or at other times of the year. 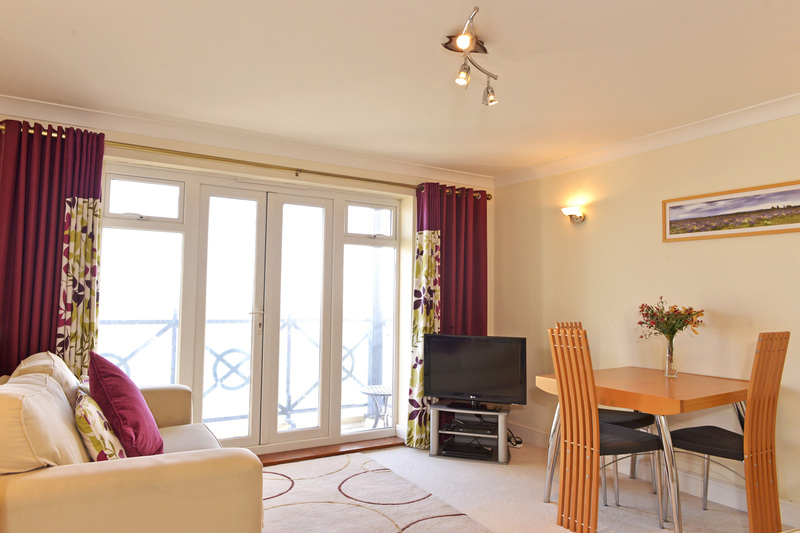 Short stays are also considered out of season.